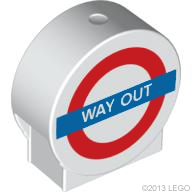 Way out, man - London Tube DUPLO®. I'll be unlikely to include new minifig elements in my listings - love 'em, but only to populate a model with. Minifig accessories with a wider use in MOCing will definitely be considered though. Generally I will stick to System parts - other systems like Technic and DUPLO® might get a look in but only the super cool ones. I love all the banter in online AFOL communities discussing just about every aspect of LEGO imaginable. But discussion of new elements feels somewhat underrepresented! We all love that "ooooooh" moment when we open a set and find something totally new, or a piece in a new colour, don't we? My hope is that this will be yet another place where AFOLs can contribute their thoughts and their MOCs, but this time wholly focused on the elements. I remember "ooooooh" moments from my childhood in Melbourne. Hinge bricks. Jumper plates. The humble 1x3. The arrival of Space brought the arrival of lots of Old Grey [BL] / Grey [TLG]. Ooooooh. Fast forward to London some *cough* thirty years on and I stumbled, bleary-eyed, out of my Dark Age... and one of my early realisations was that I'd missed out on quite a lot of elements! 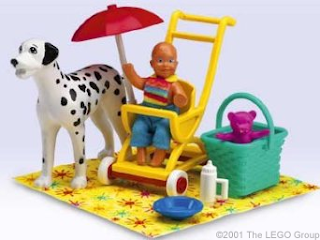 I devoured the BrickLink catalogue, setting up Wanted Lists of all sorts of pieces. Quickly realising this would prove painfully expensive, I had the foresight to limit myself to just one colour, bley. (Ooooooh.) By no means do I have every element available! But I got a huge amount of the useful stuff and it wasn't that long before I was nabbing parts in almost any colour. 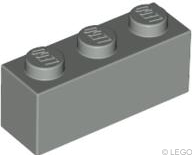 So when a cool new element comes out these days, boy do I want it... who cares if it will be as common as brick separators in a few months, I just gotta get my hands on it and play with it. Preferably in large quantities. So let's see how this goes, and please get involved in the comments! This is what happens when they let you on the LIT huh? Awesome, as a parts junkie I'm really looking forward to your posts! Goodluck! Yup, that pretty much did it! Thanks murphquake, great to hear! This is great! Good luck and look forward to future posts! I'm glad to see this new blog - I also felt like there was a gap in the AFOL community for component-focused discussions.